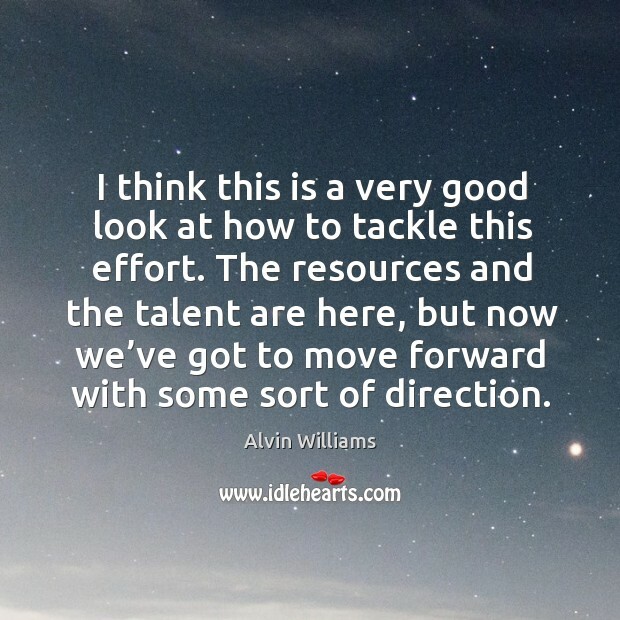 Enjoy the best inspirational, motivational, positive, funny and famous quotes by Alvin Williams. Use words and picture quotations to push forward and inspire you keep going in life! I think this is a very good look at how to tackle this effort. The resources and the talent are here, but now we've got to move forward with some sort of direction. I think this is a very good look at how to tackle this effort. 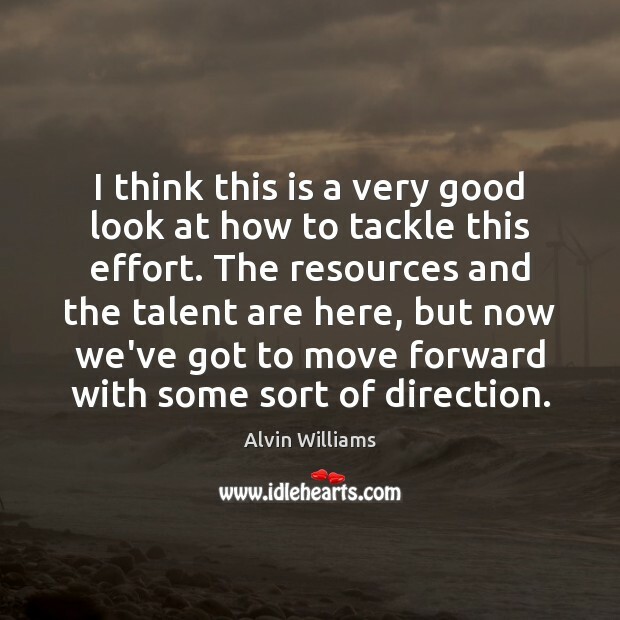 The resources and the talent are here, but now we’ve got to move forward with some sort of direction. 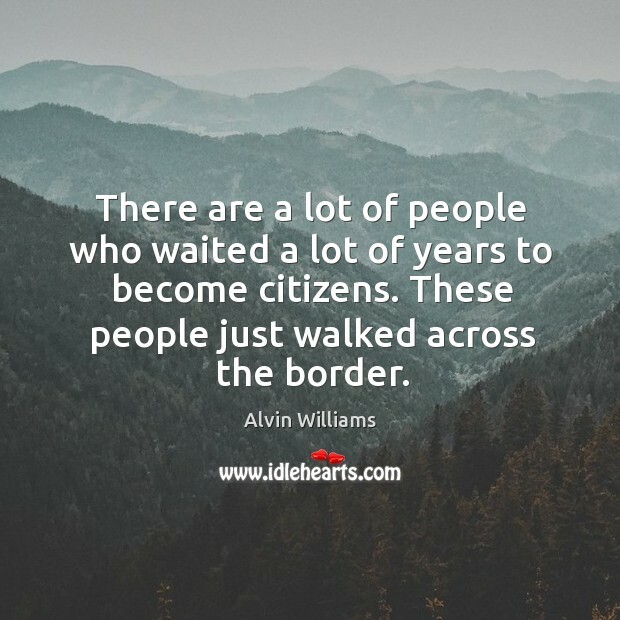 There are a lot of people who waited a lot of years to become citizens. These people just walked across the border.